Stilt walking is more than just balancing on high, it’s about interacting with your guests…and that’s what ours will do for your next event. 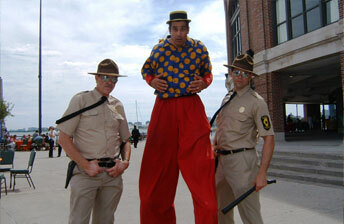 Dressed to fit your theme, our stilt walkers interact, using comedy improv. As they walk-around and mingle, their non-stop bantering with your guests, cajole and tease them while creating perfect Kodak moments. Additional costume rental may apply based upon request. 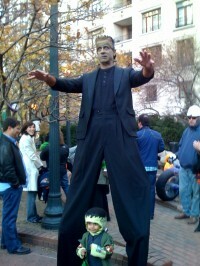 Walk-around stilt walkers are hired on an hourly basis. Exceptional travel time may increase the price.